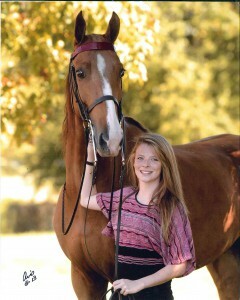 Amanda Tucker and her favorite horse, Thunder. 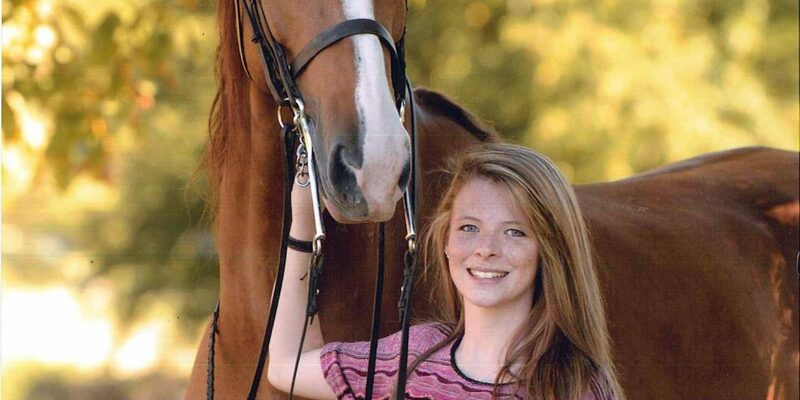 Amanda Tucker, a junior equestrian science major from O’Fallon, Mo., is the first recipient of a new scholarship at William Woods University. Allen M. Bosworth of Greenville, S.C. recently established the Bosworth Saddle Seat Grooms Award. WWU Saddle Seat students who have served as grooms at USEF World Cup sanctioned activities are eligible for consideration. “This scholarship is an opportunity to reward excellence outside of the classroom. Its emphasis on proficient horse care, presentation and professional communication is exactly what we work so hard to teach in our equestrian programs,” Jennifer Petterson, associate professor and equestrian studies division chair, said. A $500 award will be made annually. The recipient will be determined under the joint guidance of Deana Ready, director of student financial services, and Sarah Track, WWU saddle seat instructor. The Saddle Seat World Cup Team Trials are held every other year, and William Woods has hosted them since the beginning in 1996. WWU was chosen because of its outstanding facilities, large number of saddle seat horses and students who are willing to help. Having the World Cup selection trials on campus offers a unique opportunity for William Woods University students who act as grooms for the riders and scribes for the judges. The 12 riders who were selected for the team Dec. 7 will represent the United States in July 2014 during the International Saddle Seat World Cup competition in Asheville, N.C.